When given a choice, I choose to laugh, no matter the situation, as long as kindness prevails. With that said, I have been told that my professional voice is memorably unprofessional—perceived as advantageous or dangerous, depending on the recipient’s sense of humor. I am not alone. Truer words have been spoken, but never words so relevant to this particular argument. Shaw said this at the turn of the nineteenth century, yet brands still struggle to embrace humor. Circa 1600, long before modern advertising came to be, Gracián wrote these ever-relevant words. True then and now, humor garners trust. 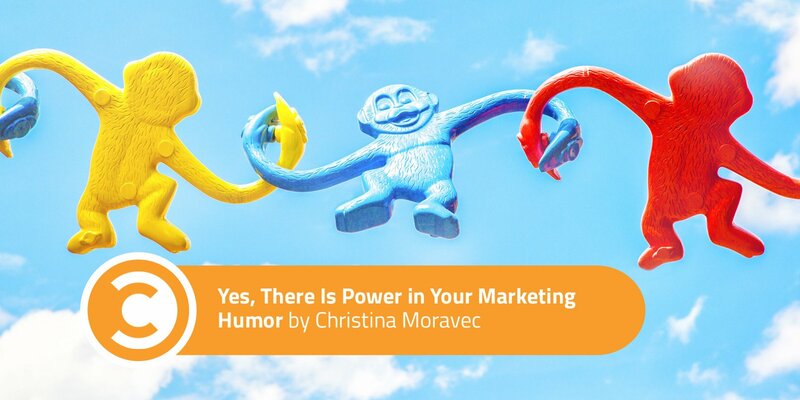 If your brand is running a solid 400 years behind the times, don’t worry: It’s never is too late to add humor to your content marketing. Especially in 2018, when influencer marketing is arguably the most powerful tactic your brand will implement this year, comedy is powerful and available. Choose funny, light-hearted, trustworthy influencers; watch as their jokes have you laughing all the way to the bank. Because the archaic advice of old men is rarely enough to influence a nation (lol the irony), please enjoy these three modern examples of humor closing the sale. ABC. In truth, not all brands are innately funny, nor can they be, no matter which celebrities star in their commercials. That said, influencers help brands cheat the system. Brands need not be hilarious; they need only piggyback on the personality of their influencers. For example, Olympians are seemingly happy people—blame the endorphins from all those workouts. They’re a natural fit for brands hoping to earn trust. Audiences happily accept that these athletes need sponsorships to pursue their passions. In this way, no one begrudges athletes dancing for the sponsors that, very honestly, make athletes’ dreams a reality. Waking up and realizing yesterday wasn’t a dream . . . ??? #VirtueMoir #TeamVisa #TeamCanada . #Repost @visaca ・・・ That feeling when you’re named Team Canada’s flag bearers. Congratulations to @tessavirtue17 and @scottmoir14! You redefine what’s possible in sport, we redefine how you can pay. Visa. The official payment technology partner of The Olympic Winter Games. While no one is rolling on the ground after watching this clip of Canadian Olympians Tessa Virtue and Scott Moir, one would expect them to smile (lest you have no heart). The Olympians’ joy is authentic and their gratitude apparent. This small execution is certainly more effective in stirring warm emotions than a lame joke about five percent cashback. US Olympian Jamie Anderson, believer in “good vibes and gratitude,” exudes warmth in many of her sponsored posts, happy dancing her way into the Olympics. Visa was smart to sponsor another athlete known for her joy, goofiness, and talent. “You would not believe the motherload I just dropped.” Can anyone forget this ingenious video sponsored in 2013? Originally served to me as pre-roll ad, it may still be the only YouTube ad I’ve watched to the end, then shared with my friends. An innately funny product, Poo~Pourri found some brilliant copywriter that keenly exercises every hilarious poop analogy known to man, and then some. Poop jokes made intelligent? Poo~Pourri is a product that lives up to its promise. This potent combination is likely never to be repeated again, though others may try. If you are seeing this video, chances are your tush is already in a seat, and the sale has already been made. However, marketers are learning more and more about the importance of nurturing current audiences with rewarding and memorable content, hence the ever-trendy humorous airline safety video. Not by accident, all examples shown here are videos of one sort or another. As my brilliant colleague Anthony Helmstetter has discussed, video marketing is on the rise in 2018. For that reason, among many others, Anthony’s 3-Part Secret to Video Marketing in 2018 is well worth the read.